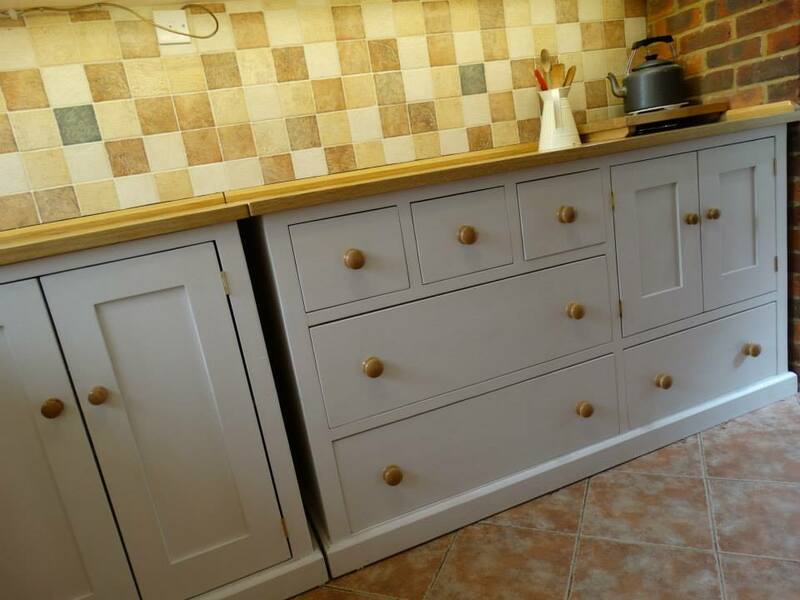 We are Bespoke Kitchen and Furniture Makers. We Can Make What You Are Looking For. 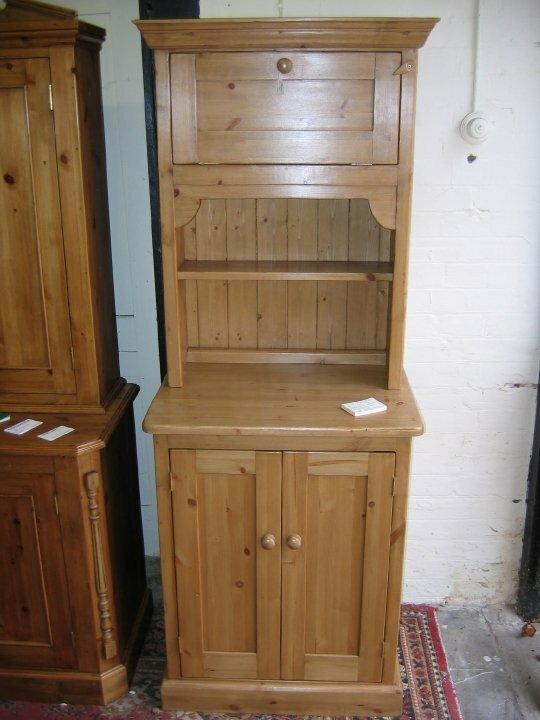 All Pine specialise in traditionally styled, solid Pine & Oak furniture, handcrafted and superior quality for your home or business. 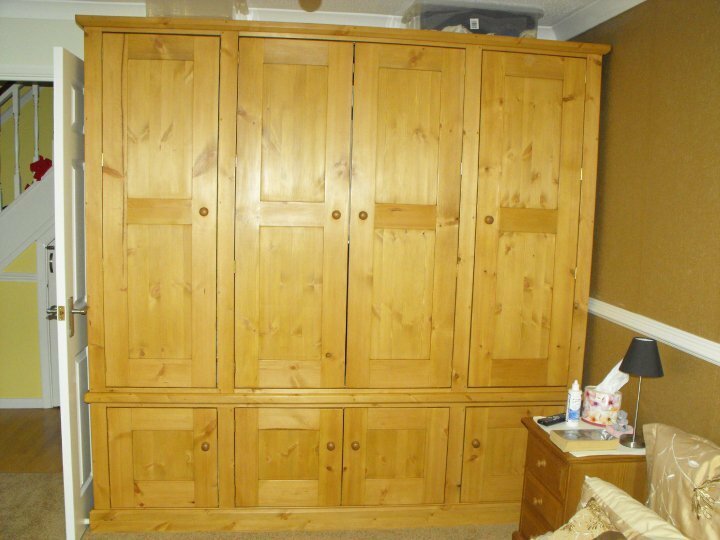 We offer a one-to-one service, creating furniture to perfectly fit our customer's own specifications - from bedroom suites to kitchen units. 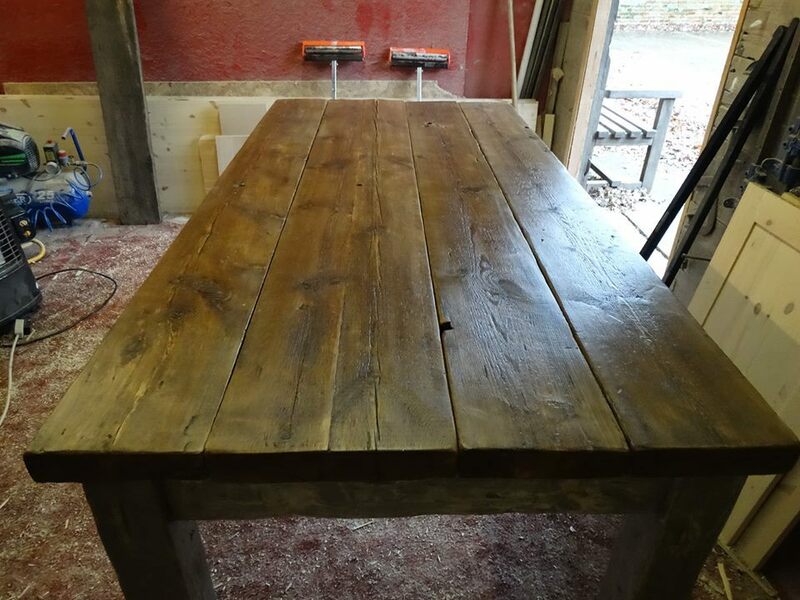 All of our products are hand-finished with natural bees-wax, or painted to your requirements. What would you like that's unique to you? A coffee table? 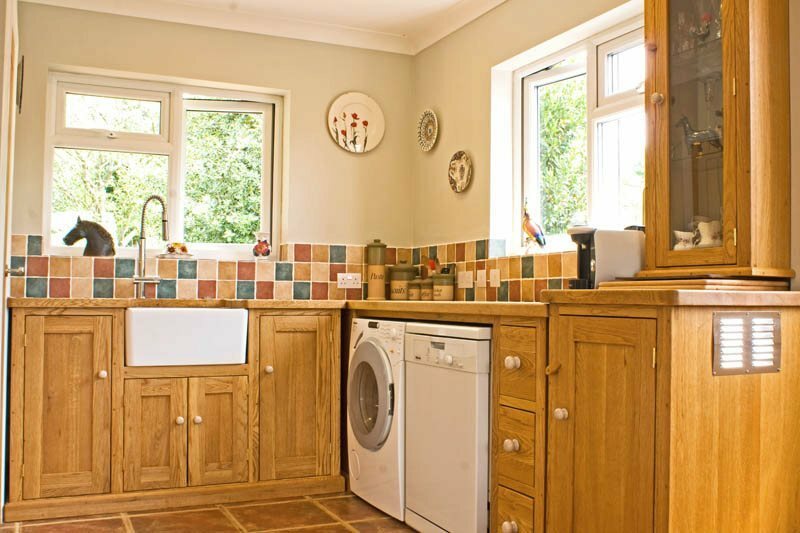 A custom made bespoke oak kitchen? 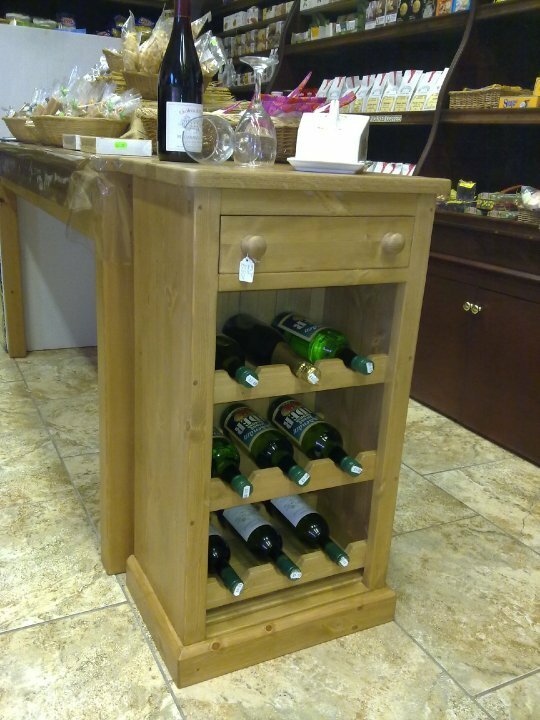 Please browse our website and our (Gallery click-here) for ideas or inspiration, then simply pick up the phone or pop in. 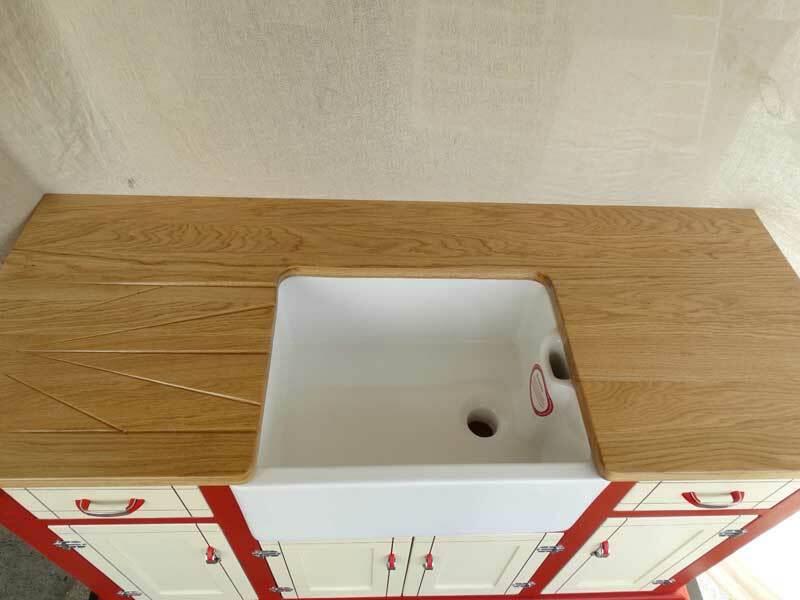 Kitchen Belfast Sink Unit - When Style Matters! 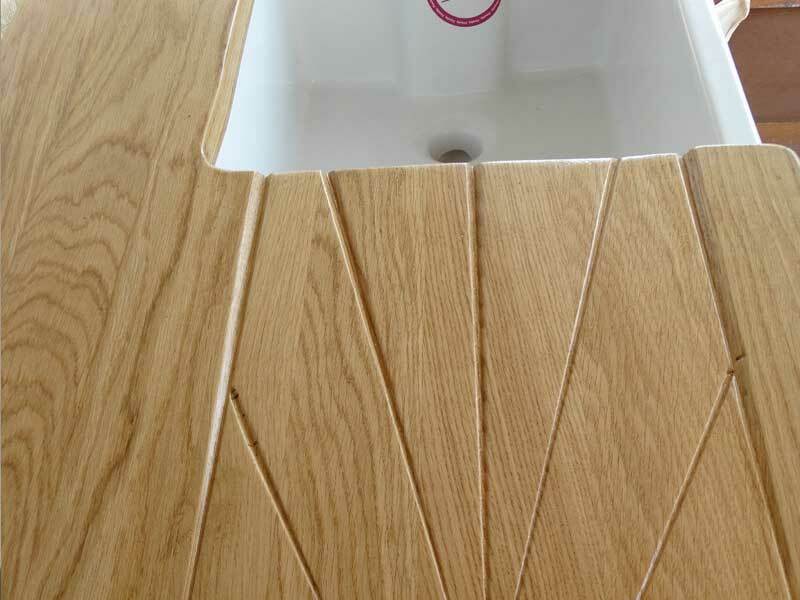 This gorgeous retro' style 5 foot Sink Base speaks for itself. Solid Oak, full length stave work top with hand planed drainer, sealed for water proofing. 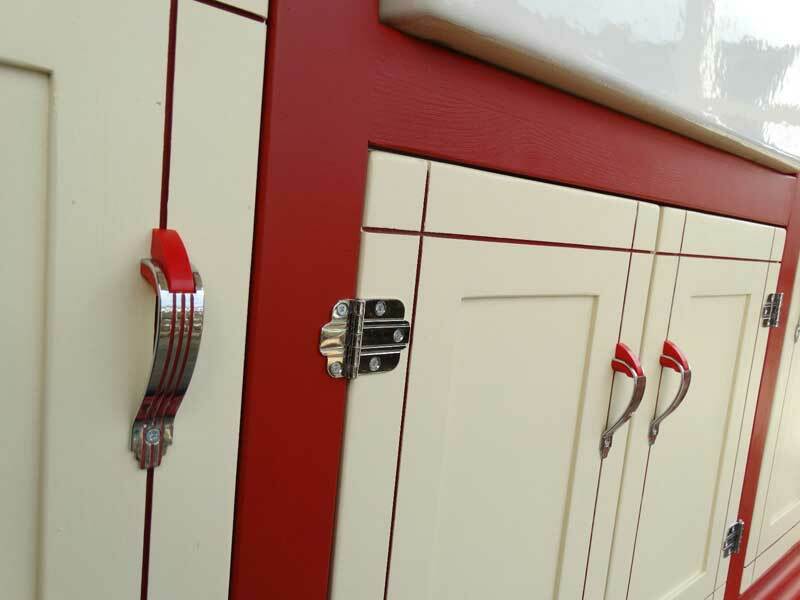 The 50's retro feel is made even more attractive with the original 1950's handles & hinges, all the way from America. 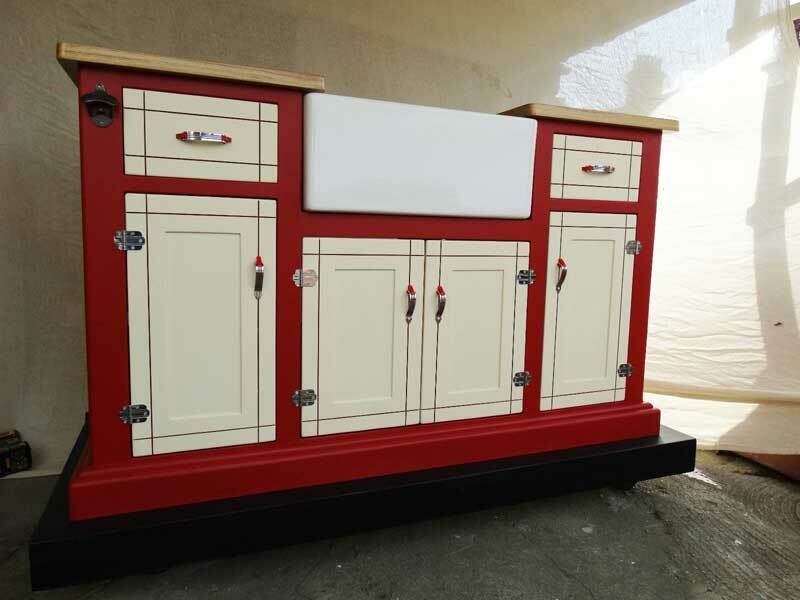 The Red & Cream, reflects that classic America Diner feel. 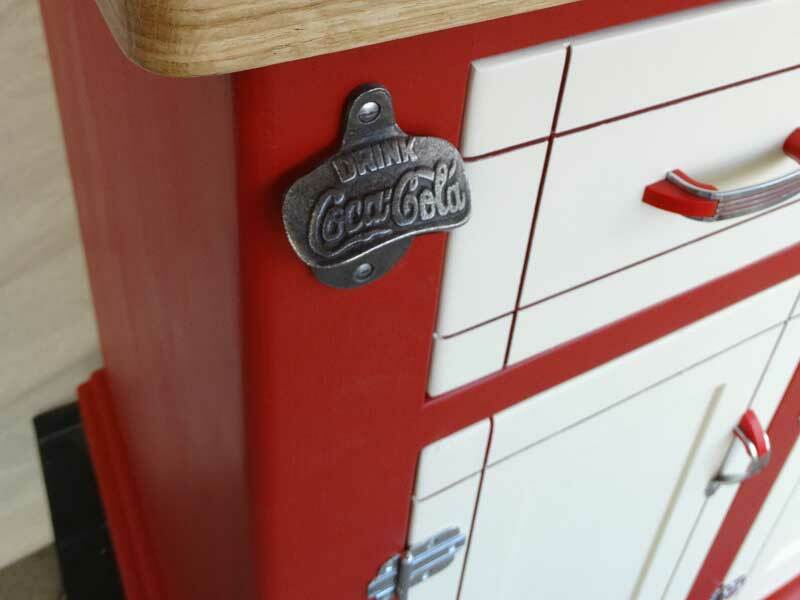 The genuine 50's Chrome hardware compliments this one-off kitchen sink base to complete any cool and sassy kitchen. "Dear Matt, I just want to say how pleased I am with the hallstand. It is exactly what I wanted, thankyou for listening and interpreting my wishes, and creating a quality piece of furniture for our entrance!" WE WILL MAKE IT FOR YOU ! Contact me to place your custom order today! 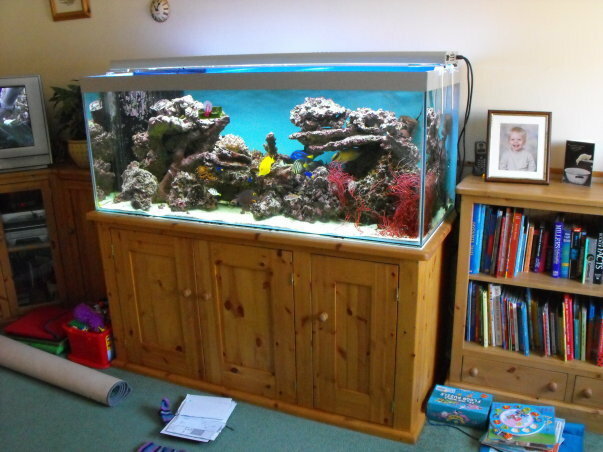 "Absolutely thrilled with everything Matt has built for us in recent weeks. We started with a new kitchen, designed and conceived between us, and fulfilled expertly by Matt. Solid, stylish, beautifully finished and most importantly everything works well too. So when we thought storage and shelves would be a good idea in our living room Matt was the obvious man to go to and today, just a couple of weeks later, he's delivered the unit which is just great. Can't wait now for the radiator covers to complete the picture.!" 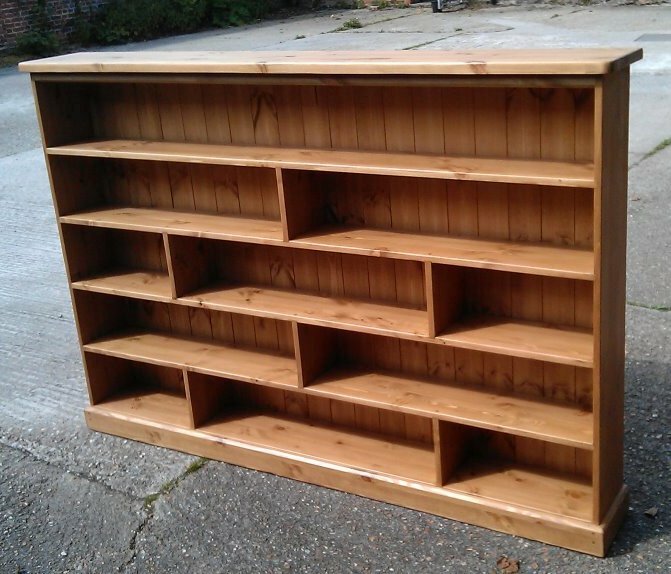 Remember - we'll make anything from a simple single shelf, to a fully fitted kitchen or bedroom suite, living room, study, child's and dining room. 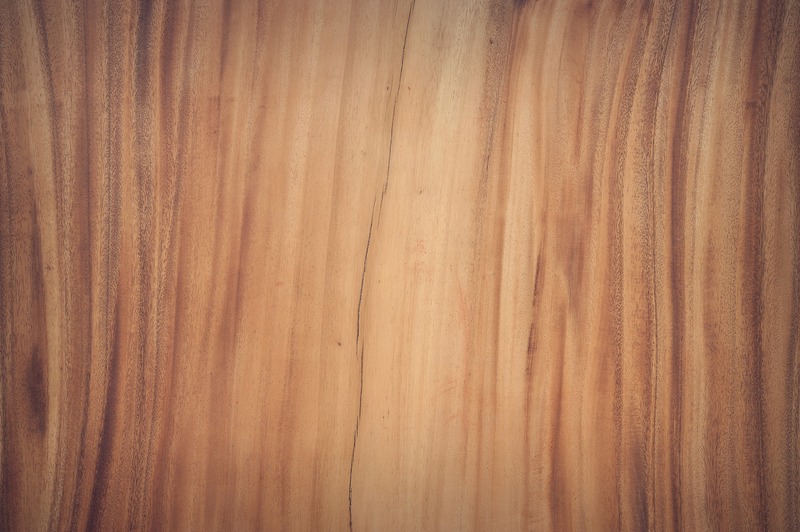 We pride ourselves in our work and craftsmanship. And... great things are worth waiting for!